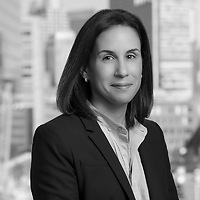 Robyn S. Maguire, a partner in Nutter’s Litigation Department and a member of the firm’s Product Liability and Toxic Tort Litigation practice group, will present at the Boston Bar Association’s program “Sales Representative and Distributor Liability in Medical Device Litigation,” on May 4. Robyn will discuss how plaintiffs are becoming increasingly adept at developing theories against sales representatives and distributors in medical device litigation—naming local defendants in lawsuits as a mechanism for keeping cases in state court, the less-preferred jurisdiction of large corporations. Allegations based on the conduct of independent sales representatives are fact-based inquiries that come with risk for companies and can potentially leave them on the hook for huge damages. The line between promoting a product, and advising a doctor on how to treat a patient, is becoming more and more blurred. Robyn will explain how companies can no longer rely on the well-settled learned intermediary and “captain of the ship” doctrines to keep themselves out of places they do not belong: the doctor-patient relationship. Rather, courts are finding ways to deny summary judgment and let juries decide whether independent representatives have overstepped their boundaries in interacting with doctors—a dangerous proposition for any company defending high-stakes litigation. After this seminar, attendees will know how to best defend medical device companies and independent sales rep/distributors in product liability suits.